The Art School has a long history of providing financial support to students, based on need and merit. Grant, Financial Assistance and scholarship support is essential to be able to offer talented students access to our specialist courses, regardless of their financial circumstances. 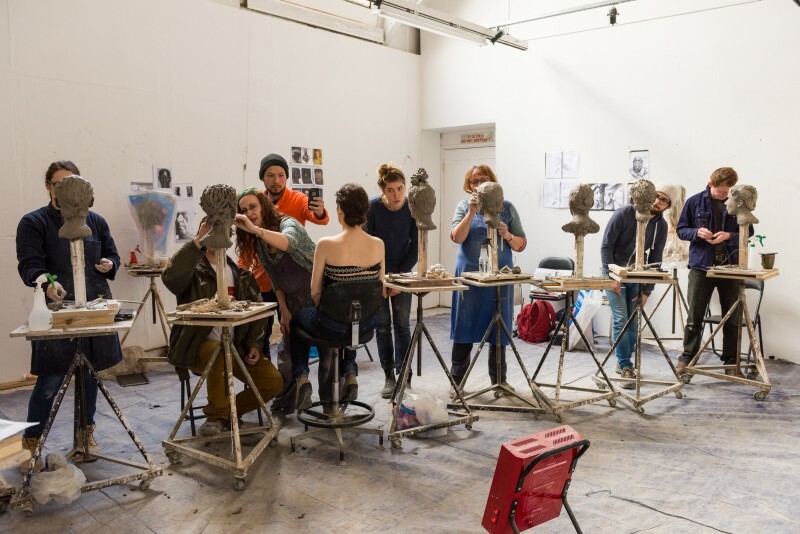 Students on degree validated undergraduate courses – BA (Hons) Fine Art, BA (Hons) Conservation and BA (Hons) Historic Carving – have access to Student Loans if they do not hold a previous degree, but only up to £6,000. Some students therefore need support to cover the gap between the loan and the full tuition fees. A significant number of students on undergraduate courses (in particular in such subjects as Conservation) hold a prior degree and therefore are not eligible for Student Loans. Unlike undergraduate students, Foundation students do not have access to Student Loans and are not eligible for fee subsidy by the Local Education Authority. The annual financial assistance pool currently allows the School to assist ca. 60 students each year, across our departments. We are working to increase this both to benefit more students, and to be able to offer higher levels of support to individual students with specific needs. We are also keen to increase scholarship support for students of particular talent and promise.